Adjust the grid line spacing (number of price grid lines) on the chart to increase or decrease the distance between the prices represented by the lines. 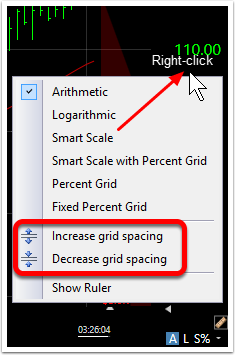 Use the scroll wheel on the mouse to increase or decrease the number of grid lines on the chart. 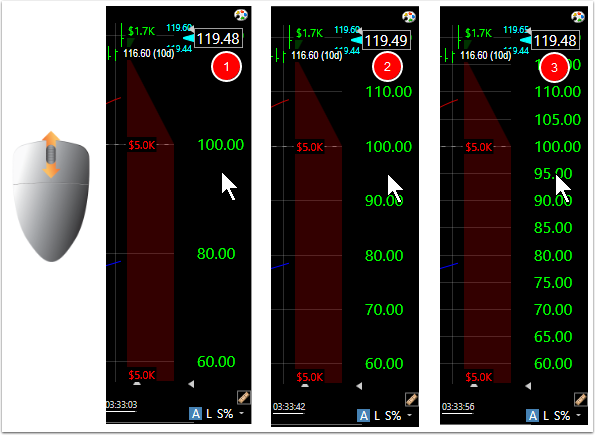 Right click on the scale of the price chart and select Increase or Decrease grid spacing.